The one-story, mostly windowless commercial building appears to need some minor sprucing up. The back of the property is slightly overgrown. Adjacent to the location of Sarasota County’s first Wawa’s, the pale beige furniture store standing on 1.61 acres at the northwest corner of Butler Avenue and Myrtle Street is perceived very differently at Sarasota City Hall than it is at the Sarasota County Administration Building. Philosophically, it might be said, the vantage points are worlds apart. For Sarasota County staff and commissioners, the property is now the No. 1 choice for a come-as-you-are, jail-diversion shelter for the community’s homeless. It might not be perfect, Commissioners Paul Caragiulo and Charles Hines acknowledged this week, but the site just outside the city limits has proven the best of the options brought forward out of all those reviewed in the unincorporated part of the county. City leaders have remained adamant in opposing such a facility anywhere within their borders. And the furniture store owner is willing to sell. 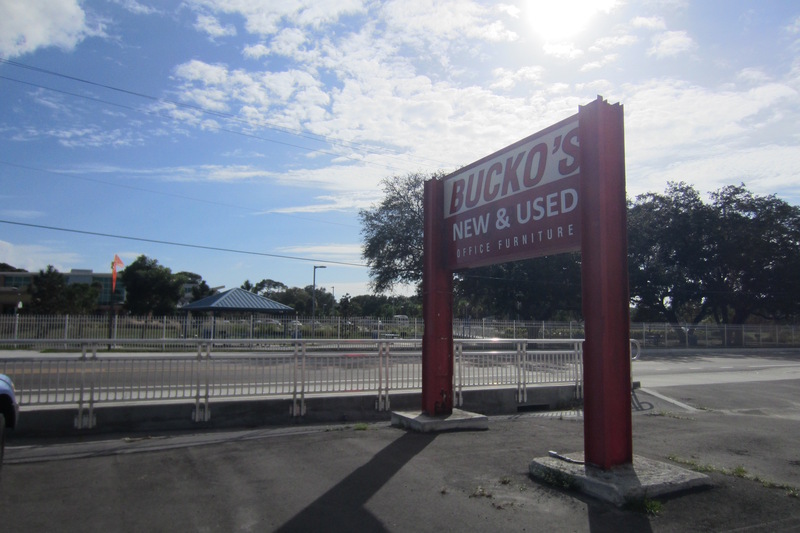 For City of Sarasota staff and commissioners, the Bucko’s Furniture site across from the Robert L. Taylor Community Complex stands as a possible encumbrance in a rejuvenation effort focused on the heart of one of the most economically distressed districts in the city. “I do want a shelter; I want that on the record,” City Vice Mayor Suzanne Atwell told The Sarasota News Leader this week. “No facility will be perfect.” But the site at 1923 Myrtle St., and two adjacent properties also under county review as the potential site of the shelter, worry Atwell. (See the related story in this issue.) “Those choices may — not saying [they] will — compromise a very burgeoning quality of life and education improvement effort going on in that part of town,” Atwell told the News Leader. The City and County commissions this week engaged in further exchanges of opposing viewpoints as they continued to grapple with how the community best can address the problems related to what city staff has said are 300 to 400 chronically homeless individuals in the county. This time, the focus of discussions was the city manager’s proposal of a land swap. It was met with swift County Commission rejection. During the Monday, Nov. 16, Sarasota City Commission meeting, City Manager Tom Barwin called for relocating a proposed Sarasota County Sheriff’s Office training facility from a Cattlemen Road site to the property that previously was home to the Sarasota Police Department on Ringling Boulevard in downtown Sarasota. Conversely, Barwin suggested shifting the homeless shelter to the site reserved for the training facility. Barwin readily won the city commissioners’ support for his recommendation. 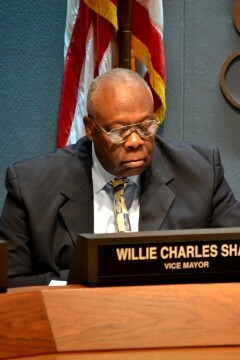 Mayor Willie Shaw, who called the city manager’s plan a “win-win,” said it had the potential to solve two issues. First, it identified a shelter site; second, it resolved a lingering issue over the conveyance of ownership of the former Police Department property from the city to the county. County board members have repeatedly asked the City Commission to endorse a site for a shelter. 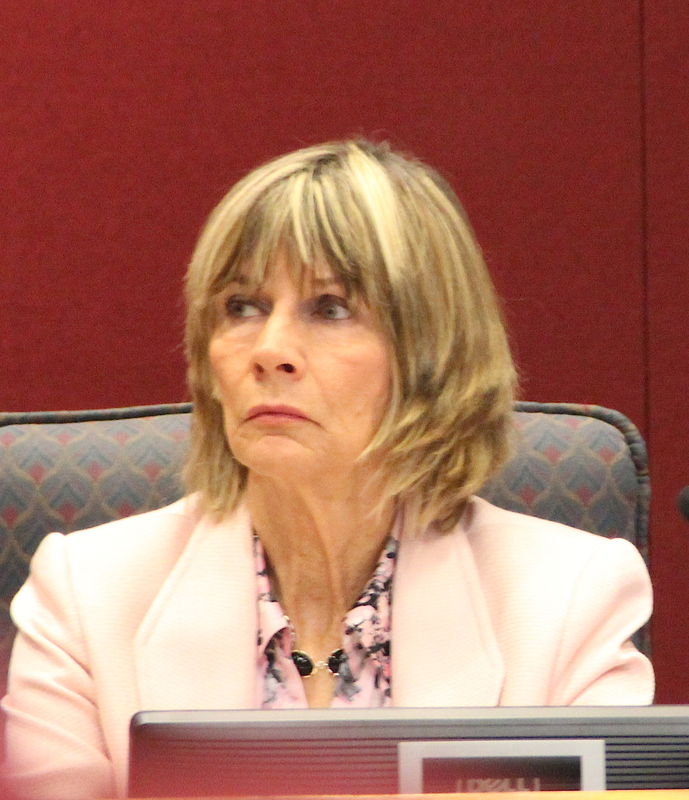 The next day, however, during a brief discussion, the county commissioners restated their resolve to move forward with a plan either to convert an existing structure into a shelter or build a new facility in north Sarasota, just outside the city limits. The county has identified three properties all in the same general area just west of U.S. 301 and north of Myrtle Street. Staff is moving ahead with due diligence on the sites and is working to identify funding sources for construction and annual operating costs. During their Nov. 17 remarks, county board members often alluded to Robert Marbut, the homelessness consultant the county and city hired together in 2013. Marbut has recommended a come-as-you-are shelter in Sarasota as the focal point of the plan he unveiled almost exactly two years ago — Nov. 25, 2013 — to address homelessness in Sarasota County. 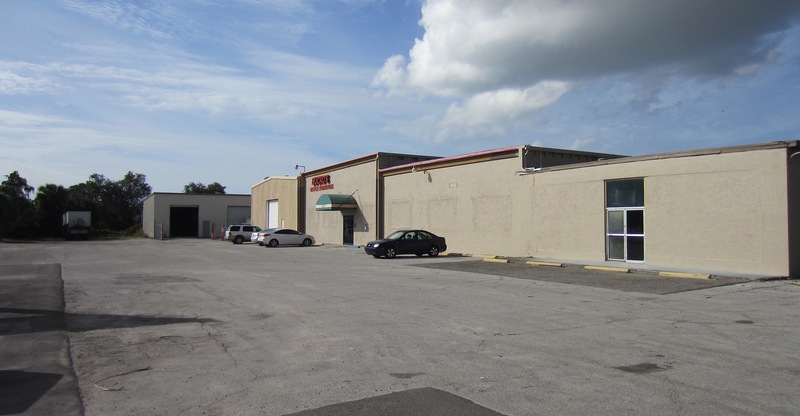 The best site still available to the county that can meet Marbut’s criteria is the Myrtle Street home of Bucko’s, Wayne Applebee, the county’s director of services to the homeless, told the county commissioners on Nov. 17 during their regular meeting. “Can you tell me if having a shelter on Cattlemen [Road] fits Dr. Marbut’s criteria?” Commissioner Christine Robinson asked Applebee. “It was rated as ‘not viable’ for the come-as-you-are shelter,” Applebee replied, referring to the site analysis Marbut had undertaken more than two years ago. “So [city staff members] have proposed a site we have already determined is not viable,” Robinson repeated the point. 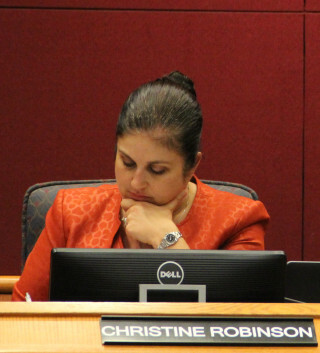 For several years, Robinson continued, the city and county boards have been engaged in communications about a 2003 Memorandum of Understanding (MOU) that called for the city to convey the former Sarasota Police Department site on Ringling Boulevard to the county. The agreement, crafted by former County Administrator Jim Ley, was part of a bargain to keep county administrative offices in downtown Sarasota. Robinson pointed out on Nov. 17 that it also does not make sense to move the sheriff’s training facility to downtown Sarasota, because a significant number of deputies work in South County. Sheriff Tom Knight has been clear about his desire for a centralized Public Safety Campus, seeing it as a means to save on expenses and maintain tighter security of his facilities. 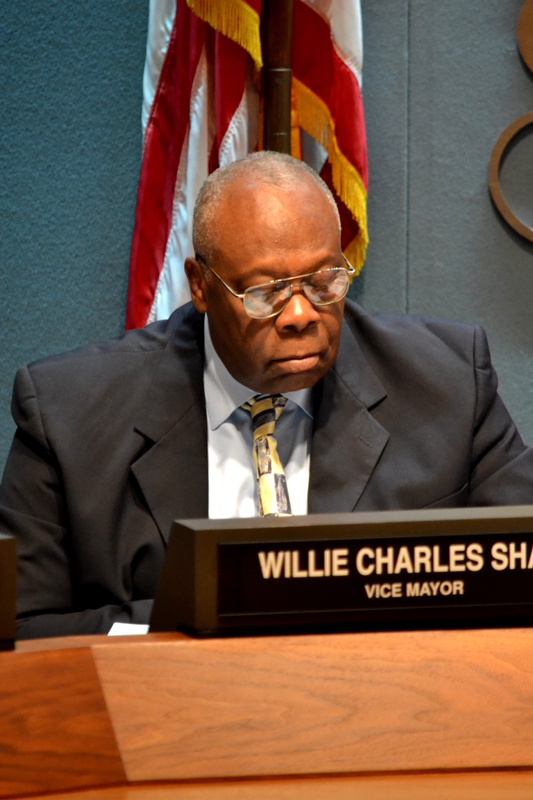 He first broached the idea to the County Commission in January 2013. During a County Commission meeting about two months later, Knight pointed out that the new Emergency Operations Center would house up to 115 Sheriff’s Office employees on the county’s Cattlemen Road property near Bahia Vista Street. “The closer I am to them, the better off we are,” he told the County Commission at that time. The training facility would serve the sheriff’s staff and Emergency Services Department personnel, and it would replace the current facility that county officials have described as sparse, Knight and county staff explained. 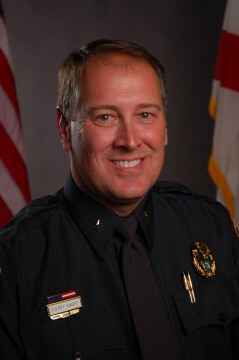 While Barwin has talked about collaboration with the Sheriff’s Office in addressing chronic homelessness, Knight pointed out, no collaboration has occurred between his department and the Sarasota Police Department on anything since Barwin was hired in late 2012. The situation is the worst Knight said he has seen it since he was elected in 2008. Knight added that he has offered to collaborate with the Police Department on training, and the Police Department has refused. “They don’t even use our facilities to train,” he said of Sarasota police personnel. Instead, Knight pointed out, they travel to Hillsborough County for that purpose. Knight also pointed out that Barwin has maintained that, by opting for a Housing First approach to handling chronic homelessness, the city will save the Sheriff’s Office millions of dollars in jail expenses. However, Knight says his department will realize no cost savings at the jail as a result of the Housing First initiative. “Now you know why I find Tom Barwin to be very inauthentic,” Knight told the News Leader. Barwin added that he remains willing to work with the sheriff on any aspect of the sheriff’s operations, including the joint training facility. Atwell uses the word “inerrant” to describe the county commissioners’ adherence to consultant Marbut’s criteria for solving the chronic homelessness problem. They are unwilling to consider a Sarasota-specific solution, Atwell said. “I felt they were looking through us [city leaders] and not at us,” Atwell added. Late in the morning of Nov. 17, in an email to County Administrator Tom Harmer, Barwin addressed the conclusion reached at the County Commission dais. Concerns regarding neighboring residents’ safety and the potential for increasing crime in proximity to a shelter continue to surface, as evidenced during comments north Sarasota residents have made. 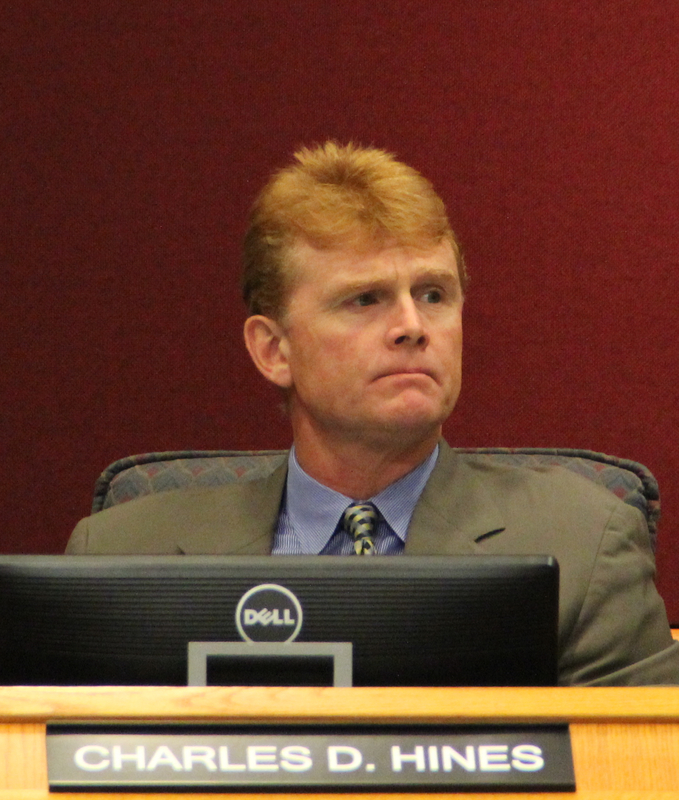 Several voiced alarm about the Bucko’s location during the joint city-county meeting on Nov. 6. Then, on Nov. 17, Bayou Oaks resident Abby Weingarten told the county commissioners that the county’s latest proposed sites are too close to Booker High School, Booker Middle School and the Robert L. Taylor Complex. He stressed that as well in the interview with the News Leader. Editor Rachel Brown Hackney contributed to this article.